Sports lovers have great options for places to stay in the nation’s capital. Washington, DC features exciting sporting events throughout the year. The fall and winter seasons offer the Washington Capitals, the Washington Wizards and the Washington Redskins, while spring and summer bring seasons for the Washington Nationals and D.C. United. We’ve compiled hotels that will put you close to the action. 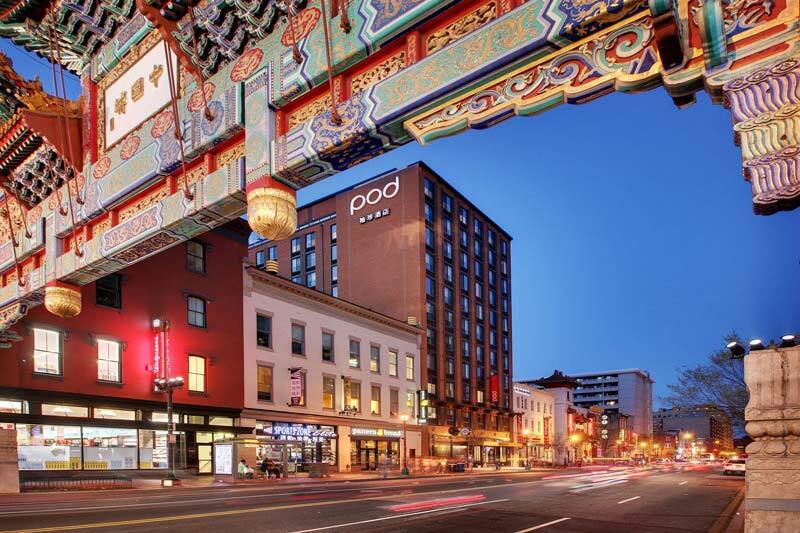 Nestled in the heart of Penn Quarter/Chinatown, Fairfield Inn & Suites by Marriott Washington, DC Downtown pays tribute to the neighborhood with its Chinese-inspired decor. A stay here puts you close to the National Mall and the diverse range of restaurants and attractions in Penn Quarter. Of course, you’ll also be a five-minute walk from Capital One Arena, the stadium that the Wizards and Capitals call home. If you’re bringing a sports-loving crew, book a suite that includes a pullout sofa, a mini-fridge and a microwave. 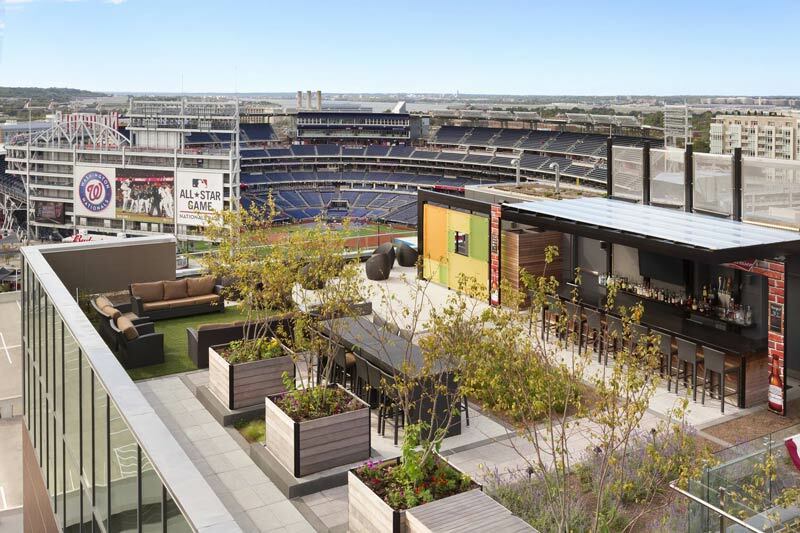 This chic hotel literally overlooks Nationals Park. Hampton Inn & Suites’ Top of the Yard promises rooftop bliss, as you can relax, sip on a drink in the lounge or bar area and watch live action of the game thanks to an awesome view. Check out the hotel’s Raise the Roof offer to enhance that experience even further. Of course, purchasing a ticket to the game and walking across the street is easy, too. Soccer fans will appreciate that D.C. United’s Audi Field is less than 15 minutes away by foot. 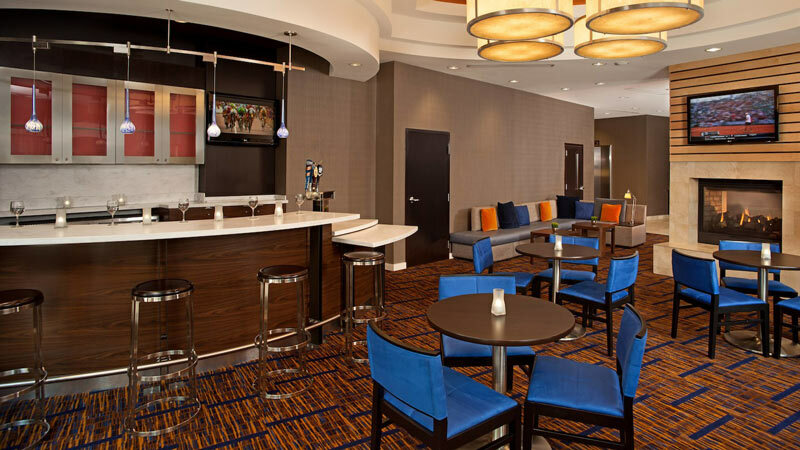 DC’s premier convention hotel is also a masterpiece for those simply wanting to enjoy a few days of sports action and sightseeing in the nation’s capital. 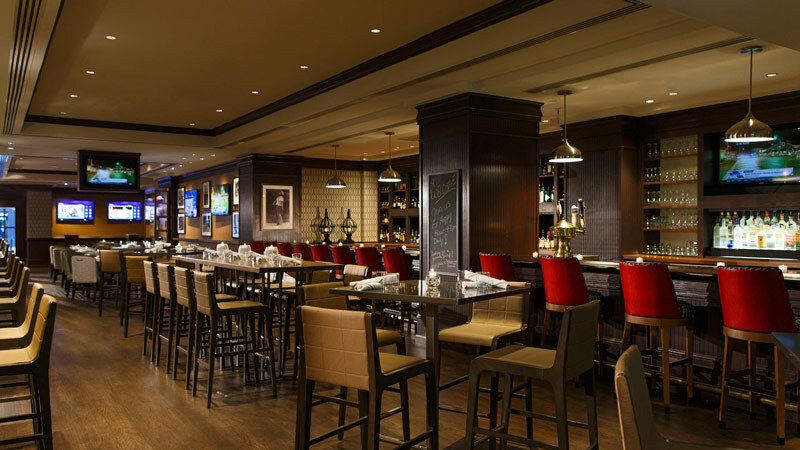 The Marquis is within walking distance of the National Mall and Capital One Arena and features four on-site restaurants, including High Velocity Sports Bar, a haven for the city’s sports fans with its 40 HDTVs and 48 beers on tap. 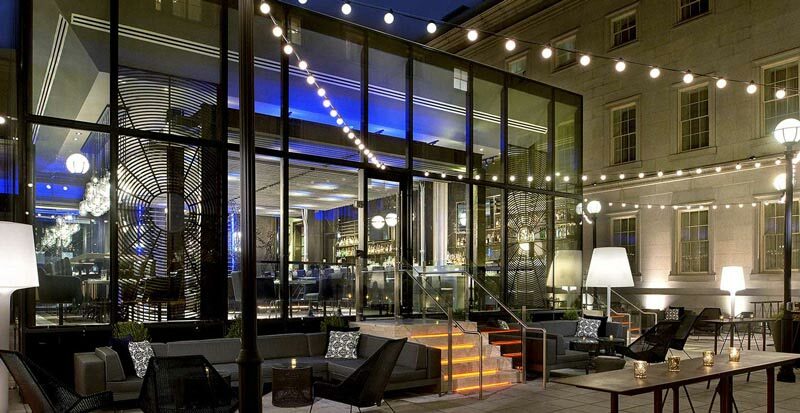 A stay at this Courtyard means you’re just an eight-minute walk from Nationals Park and a 20-minute scamper from Audi Field, making the hotel perfect for a spring or summer stay. Pre- and post-game entertainment will be plentiful, as you can explore Capitol Hill and Capitol Riverfront, with the latter neighborhood’s picturesque Canal Park just steps away from the hotel. Get your fill of comfort and style at this conveniently located Renaissance hotel. A less-than-10-minute walk will bring you to the sporting excitement inside Capital One Arena. You can also shop ‘til you drop at CityCenterDC, which is just across the street. 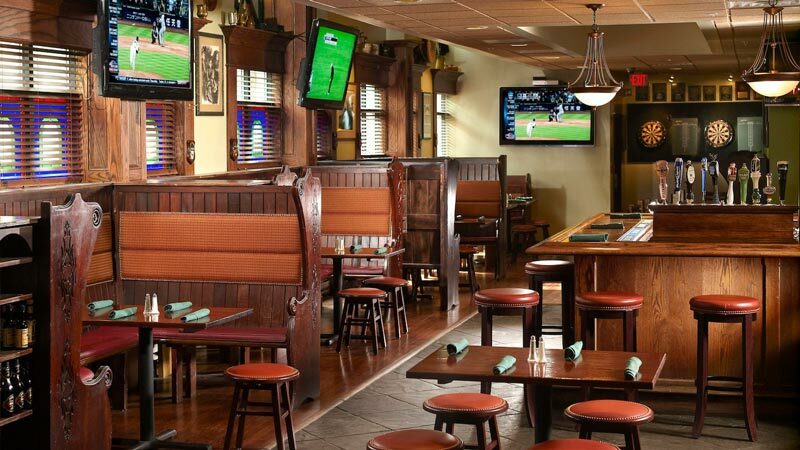 Before or after the game, grab a drink and a bite at City Tap House, located just next door. Grab breakfast and talk about last night’s contest at Fifteen Squares Restaurant the next day. 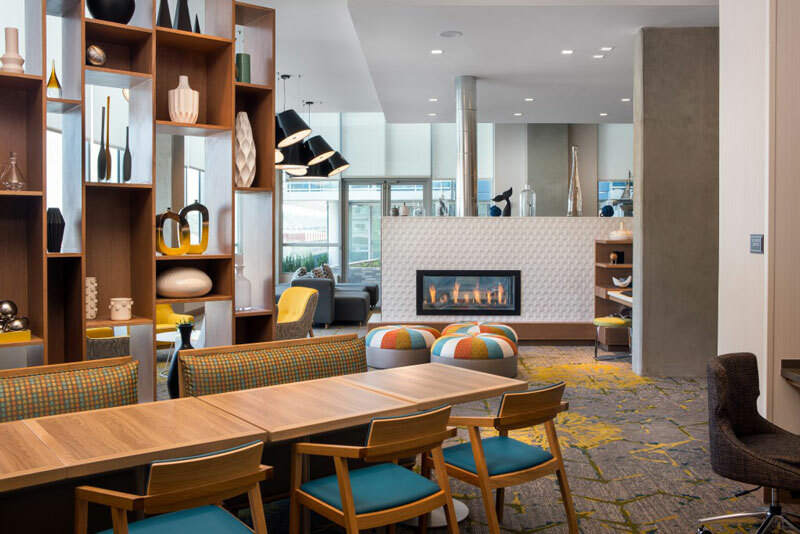 Unlock the wonder of Capitol Riverfront at this Residence Inn, which offers extended stay suites so that you can take full advantage of your DC trip with the entire family or your group of fellow fanatics. Nationals Park is a three-minute walk away and Audi Field is a 15-minute trek by foot, so sporting event pleasure is well within reach. You’ll be able to explore the neighborhood’s exciting dining scene with ease as well. Make sure to check out The Mix, the hotel’s lounge that offers apps, beers, wine and other beverages on Monday, Tuesday and Wednesday evenings. Combine efficiency with your sports-themed visit to DC when you stay at Pod Hotel DC. The hotel offers 150-square-foot rooms that you and a fellow sports nut can enjoy while being right in the middle of Penn Quarter and a block away from Wizards and Capitals games at Capital One Arena. Before or after the game, visit Crimson, which is cafe-diner-rooftop whiskey bar hybrid. Historical, sophisticated and in an ideal location for city exploration, Kimpton Hotel Monaco Washington DC is sure to satisfy any DC visitor. However, sports fans will get to fully enjoy the atmosphere and action inside and around Capital One Arena, as the hotel is just across the street. 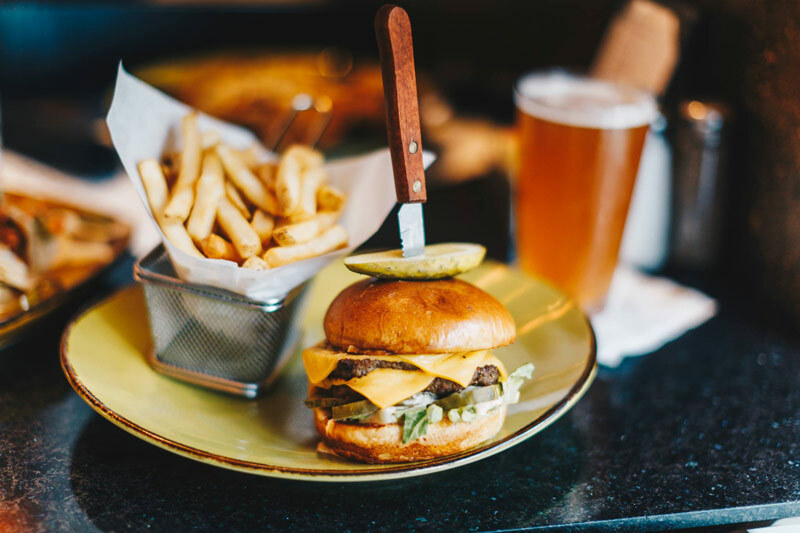 Hotel Monaco is housed inside DC’s original General Post Office and filled with historical touches, and the on-site Dirty Habit makes for a great spot to lounge and enjoy drinks prior to the game.